Students highlight influential women at LHS for Women’s History Month. Students look up to other strong men and women in their community for inspiration and influence. There are many influential women and role models around the world, but there’s also a group of women at LHS who influence their students. After going through meetings and answering staff and student emails, counselor Nikki Duncan starts with a open mindset and is ready to start the day. Duncan brings a positive light in her students’ lives, including junior Deborah Nash. Duncan’s positive attitude has been with her every step of the way, especially on her journey of becoming a counselor to help and support students. Looking back on her triumphs, Duncan shared that all she has completed was possible because of those female role models she had growing up, such as her old professors and softball coach who helped her pursue what she loves. Here at LHS, Duncan makes sure to help students whenever necessary. Duncan recognizes as a counselor the issues women go through today – even at LHS – and how important they are. A well-rounded teacher can connect to a room full of students all at once without having to attend to each student one by one. This is exactly what social studies teacher Ellen Meade does. Meade’s deep passion for teaching would make many assume she knew she wanted to be a teacher for most of her life, but this was not the reality. Although Meade somewhat stumbled into teaching, that does not make the connect between her and her students any less real. 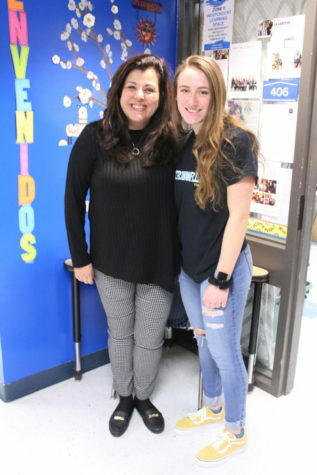 “I think it’s great to have people like Ms. Meade who you can look up to, someone who is there for you, can teach you lessons and be an adult figure in your life while also helping you learn,” Baldaia said. 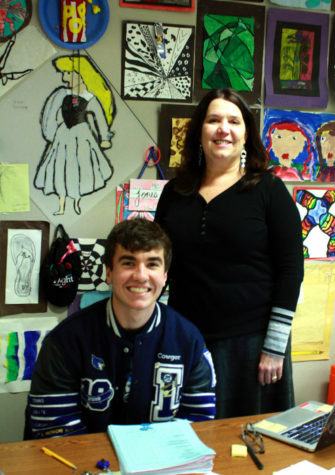 Senior TJ Cowger looks up to English teacher Melissa Jones. “Mrs. Jones has taught me consistent work ethic, open dialogue and that belief in yourself means you accomplish anything in any setting,” Cowger said. Jones expressed how important being a role models to other is. 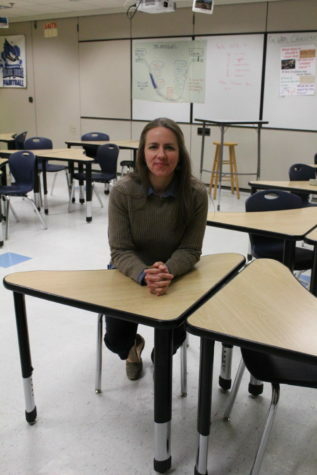 Being involved in her students’ activities within the school and being mentally there for her students helps Jones set an influential model for students to look up to. Jones’ main influences for her teaching tactics can be found here at LHS. Women’s issues are a hot topic for the media today. Many marches and organizations like the Women’s March and #MeToo have gone viral, but why is that? Safety Team member Sheri Rogers has tried to make her mark with every student she encounters. She makes it a goal to get to know every student well, so they feel comfortable talking to her about anything happening in their life. Along with taking the time to get to know students, freshman Desiree Odum said there is more to Rogers that makes her special. Odum thinks strong women are good examples in people’s lives because they teach young girls to stand up for themselves and help them stay on the right track. Though Rogers helps influence others around her, she said they are her biggest motivation for her job. Rogers thinks because she had such strong influential women in her life, as well as women through history to look up to, young girls and boys need a person in their life to be influential. “I think young ladies need to see successful women so they can see how to live their life. They can see that no matter what situation you’re in, you can overcome anything,” Rogers said. Henry Brooks Adams once said, “Teachers affect eternity; no one can tell where their influence stops.” As many students have acknowledged, Spanish teacher Astrid Ruiz is no exception. Ruiz is someone who loves teaching, and her pupils have definitely noticed. “Ms. 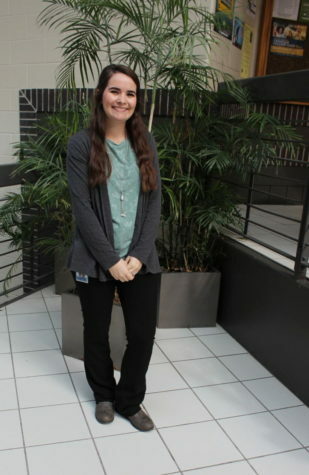 Ruiz is very empowering and wants everyone to succeed in everything they do,” senior Hannah Rohm said. Ruiz became aware of her love for teaching in Guatemala when she was only 15 years old. She also knew in order to make her dreams of becoming a teacher come true in her home of Guatemala, she would have to work extremely hard. Ruiz uses the same advice and positivity that she received from her mother in her teaching style today. “Go for what you are dreaming, never let anyone tell you you can’t do something because you are the only person that can decide that for you,” Ruiz said. There are many obstacles presented in everyday high school life, and many students benefit from having trusted adult figures that can provide support and guidance such as Ms. Ruiz. “Everyone needs a good role model and someone who is constantly encouraging and supporting us when it comes to doing our best,” Rohm said. Teaching can be one of the most challenging jobs. With the help of enthused teachers such as visual arts teacher Tammi Kennedy, teaching can be a magical thing. 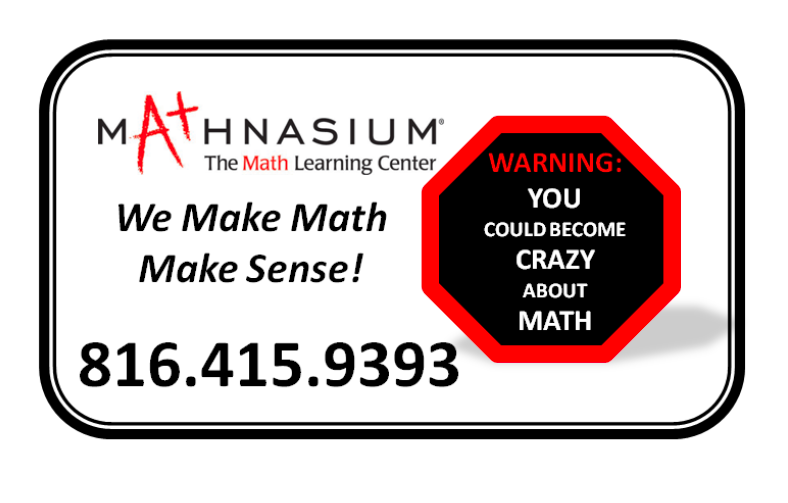 It takes a different kind of teacher to not only explain needed curriculum but also make learning for students interesting and fun. Kennedy is the type of teacher who is not afraid to take risks and think outside the box. She reminds them to always be confident in who they are. “One of the key elements in making an inspirational woman is not being afraid of following your heart,”Kennedy said. Teachers have a more significant effect on students than many might think, as they have the power to motivate and inspire great things from young growing minds. Kennedy is a role model by teaching the true meaning of art. 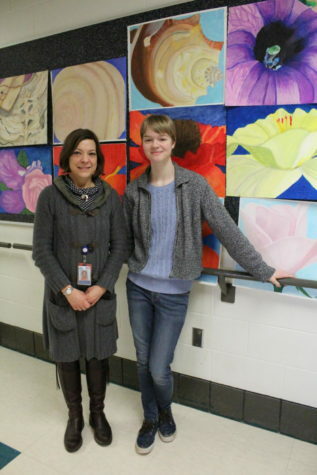 “I think it’s really inspiring to a lot of younger girls to have people like Ms. Kennedy to look up to,” Schuele said. 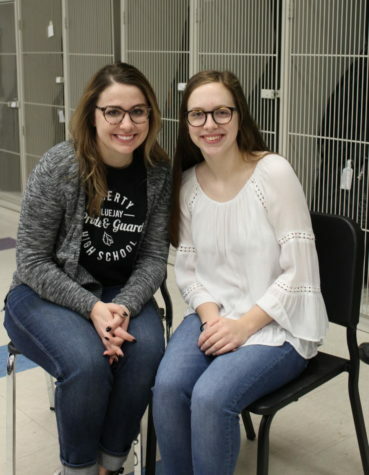 Band teacher Brittany True is another woman who is an influencer within LHS. True is not afraid to push the limits of working in a male-dominated field, which junior Katie Martin admires her for. “There are not enough strong women in everyday life, especially in band class. I look up to her a lot because she is doing something I want to do when I grow up. She takes it with a stride, too,” Martin said. Being a teacher, True has expanded her love for music as well as her love for learning, which helps bring out the best in people around her. “I teach because I enjoy the learning process in all of its forms. I love learning from my students and I cherish being able to be part of such a formative a part of their lives,” True said. Martin thinks influential and inspiring people around the community should be praised and recognized for all they’ve done for people. Whether that be from a simple thank you or a bigger gesture, she believes they all need to realize how they are helping others.